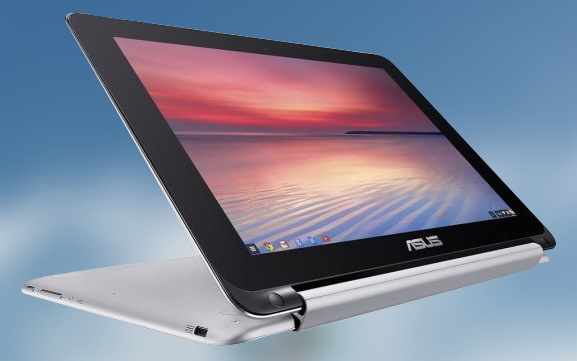 TrendForce reports 2016 Chromebook shipments exceed expectations with annual growth projected around 30 - 40 percent. Besides having a remarkable shipment record this year, Chromebooks could capture a part of the education market. According to the latest report from the global market research firm TrendForce, laptop shipments worldwide for 2016 are projected around 156 million units, down 5.1% from 2015. Chromebook shipments are projected to achieve an impressive annual growth of 30 - 40% against the general trend of decline, totaling over 10 million units. "Price has been a major factor behind the stronger-than-expected growth of Chromebook shipments this year. The notebook market remained in a slump through the first half of 2016. Struggling sales of higher-end models compelled branded notebook vendors to promote the lower-priced Chromebook products to gain market shares during the period. Another important factor is Microsoft’s attempt to raise license fees for Windows. This encouraged notebook vendors to shift some their sales focus to Chromebooks, which feature a royalty-free operating system." Wang also pointed out that the Chromebook market has attracted a much larger group of device vendors beyond the major players in the traditional PC industry. As Chromebooks gain traction with consumers, even appliance makers such as China's Haier and Hisense are entering the market. In the Top 5 global Chromebook shipment ranking for 2016 Dell and HP are expected to come in first and second place with their estimated market shares at 27% and 22%, respectively. Lenovo has dramatically expanded its Chromebook shipments and will take third place with a whopping annual growth rate of 159%. Acer ceded a substantial portion of the market to the more aggressive Dell and fell to second place in the ranking in 2015. The Taiwanese vendors is expected to drop further to fourth place in 2016 with a remaining worldwide market share of just 14%.